Are you having a hard time drafting a persuasive cover letter for your resume? If you answered yes, here are 10 tips which will help you to triumph in your quest for winning your most desired job interview. The cover letter seems to be a minor factor for most applicants, but has to ability to make a major impact on the recruiter, making room for attaining prosperity in your profession. A few years ago, applicants applying for jobs put very little value in cover letters. They failed to determine the worth of drafting a cover letter for a resume which I feel is very important in any process of job application. This was one of the factors that I believe was responsible for the failure of the applicants to gain success in their respective job interviews. Know the objective of the cover letter. It is very important to get acquainted with the objective and motive behind creating the cover letter. A good cover letter can be drafted for a number of reasons. It may be drafted for the purpose of posing your response towards the job posted by the organization. It may even be a blind application that is usually drafted in anticipation of an employment vacancy. Research the organization. Researching the organization is an essential component in the process. One needs to gain information about the current trends, needs, business requirements, culture, and the business obstacles faced by the organization. This can always be used as a handy tool for depicting your strength and ability to find apt solutions for the organization and prove your worth over other candidates. Prepare a rough sketch of the cover letter. It is always a beneficial practice to start with a rough sketch or template for your cover letter. It prepares a good foundation for your cover letter which helps you to build a unique and employer friendly cover letter. You can gather the important points that need to be added before actually initiating to draft the cover letter. Then, you have a better idea in mind as you begin to format your text. Enter complete and accurate information. A cover letter should always include precise and complete information. This information could be the date, name, address, and contact details of both the addresser and addressee. It could also be the information about the job profile such as your qualifications, credentials, and work experiences. Incorrect and inaccurate information can cause the employer to lose faith in you and decrease your prospects. Focus on your qualifications and skills. The cover letter should give the recruiter what they want. You need to know the requirements of the expectations of the job and add the qualifications, abilities, skills, and other credentials that are pertinent to the needs of the job. You can also include your accomplishments and awards you might have won in your academic years and past employment organizations. You can tell the employer how your skills and capabilities are different from other candidates in the competition. Maintain a positive flow in the cover letter. Most recruiters like to read the cover letters that are written in an optimistic flow of language. The candidate should ensure that he does not mention any such thing in the letter that will impose a negative effect on the reader. The best way to do it is to add enthusiastic and motivating words that will make a mark of your profile in the mind of your future employer. Eradicate errors from the cover letter. An ideal cover letter has no room for errors. The most common type of mistakes that occur in the cover letter are typing and spelling errors. Grammatical errors and improper sentence structure are other types of mistake found in cover letters. Such errors in the document can lose the curiosity of the reader. Proofread the cover letter. One of the most significant steps for ensuring a winning cover letter is to proofread it before sending it to the prospective employer. It is a good practice to make sure that your document is free of errors. Thank the reader. Ending your cover letter with a good note is as important as giving an enthusiastic start to your document. The candidate needs to show his gratitude and appreciate the reader for having read the letter. It gives way to depict your professional attitude and sincerity towards the job. Present the cover letter. 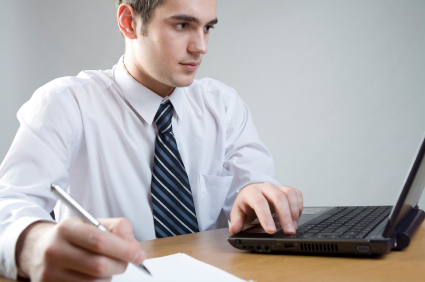 The cover letter should be presented in a neat and well organized manner. It should be formatted in such a way that the reader finds it easy to read and understand the document. It must be impressive enough to compel the reader. About the author: Sandy Dsouza is a freelance author and blogger who has 4 years of experience in the field of writing. She is always eager to share her knowledge on various topics like resume and career development. Click here to find her blog.